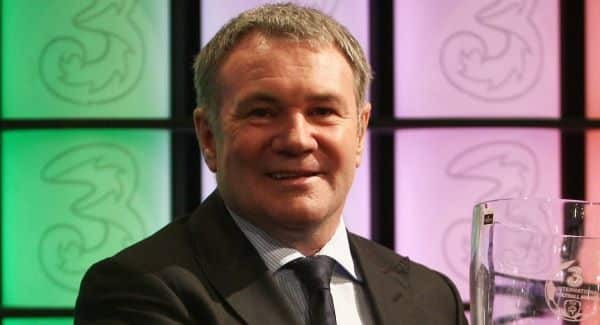 Ray Houghton is a retired football player, and current analyst and commentator with RTÉ Sport. Born in Glasgow, Scotland, he played international football for the Republic of Ireland. Ray Houghton is particularly remembered by Irish fans for scoring two of the most important goals in the national team’s history, which resulted in 1–0 victories over England in Stuttgart at the 1988 European Championship, and Italy at the Giants Stadium in New York at the 1994 World Cup. At club level Ray Houghton is best remembered for his success with the Liverpool side in the late 1980’s. Ray Houghton is now in demand as a pundit on the game working for RTÉ, talkSPORT, Sky Sports, Sportsxchange in the UK and LFC TV. Since 2002 he has also worked for Sports Interactive as a consultant on their PC and Xbox 360 game Football Manager. In 2005, Ray Houghton was given an honorary degree by the University of Huddersfield, for his services to sport.